Stainless Steel Crimped Wire Mesh also named: Crimped Wire Mesh , Crimped Wire Screen, often used in mineral screening, farm feeding, automobile manufacturing, air filter manufacturing, etc. When Crimped wire screen used to make Bbq Wire Mesh , it will adopt healthy non-toxic material and surface treatment to make it meet people's needs. We also manufacture and sell all kinds of Wire Mesh and Fence Products in addition to rolling net. You can contact us if you need. There are four types: Double-Crimp(Vibro Type Weave), Lock-Crimp(Scalping Weave), Flat-Top(Smooth-Top), Tri-Loc(Triple Shoot). Make the surface of the net smooth, wear-resistant, increase the service life, suitable for different living environment. Name: Crimped wire mesh ,Square wire mesh, Crimped wire mining mesh, Crimped wire Mining screen. Material: Stainless Steel Wire, Manganese steel , High carbon steel 65Mn, Low carbon Steel Wire , Galvanized Iron Wire, Non-ferrous Metal Wire . Thickness of wire: 0.8mm-12.7mm, Tolerance+_0.03mm . Crimped mesh is widely used in mining, petroleum, chemical, construction, mechanical accessories, protective netting, packaging netting, barbecue netting, vibration screen, cooking utensils, can also be used for classification of solid materials screening, liquid and slurry filtration, aquaculture, civil and so on. Here we supply High quality Steel Fence , Wire Mesh Fence , Rebar Tie Wire , 358 Fence , Palisade Fence , Farm Fence , Temporary Fence , Gabion Mesh , Barbecue Grill Mesh, Perforated Metal Mesh, Stainless Steel Wire Mesh, Cattle Fence , Kraal Network , and kinds of wire mesh and metal products with competitive price. Looking for ideal Galvanized Crimped Mesh Manufacturer & supplier ? We have a wide selection at great prices to help you get creative. All the Bbq Grill Mesh are quality guaranteed. 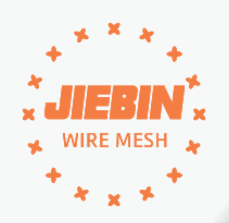 We are China Origin Factory of BBQ Mesh Wire. If you have any question, please feel free to contact us.